Ever wanted to meet an adorable seal? Here’s your chance! Come and see our flippered friends at Deep Sea World, and find out more about them below ahead of your visit. Common seals are skilled predators, believe it or not! By storing oxygen in their muscles and blood, rather than in their lungs, they can dive for up to 30 minutes, searching for their favourite food. They eat plenty of different things, but they love small sea creatures like oily fish, squid, and molluscs the most! Even though they are top hunters, seals have to be wary because they are prey for larger animals, too. Killer whales hide in the deep water where it’s too dark for most creatures to see, then they shoot upwards, hitting seals living on the surface of the water with a huge force. To avoid becoming killer whale food, seals usually swim on their backs with their eyes facing downwards so they can check for incoming whales. Swimming upside down like this also allows seals to look for the tasty fish and crustaceans they like to eat. When they aren’t hunting or on the lookout for predators, seals try to rest so they have lots of energy. They usually nap on rocky shores in big groups, or they rest in the water. They sleep in the water by submerging their bodies under the surface, but they keep their heads in the air so they can breathe. It might sound chilly, but seals have a thick layer of blubber under their skin to keep them warm in the cold ocean. Although killer whales are their main natural predators, humans cause the most problems for seals. Seals are playful and inquisitive creatures, so they love to investigate things they find unusual, like rubbish, fishing lines, and boats. Sadly, this means that they can get caught up in fishing equipment, or eat items of litter that they can’t digest. … you will reduce the chances of seals eating any rubbish you’ve discarded, and you will prevent them from getting caught up in anything that gets into the ocean. 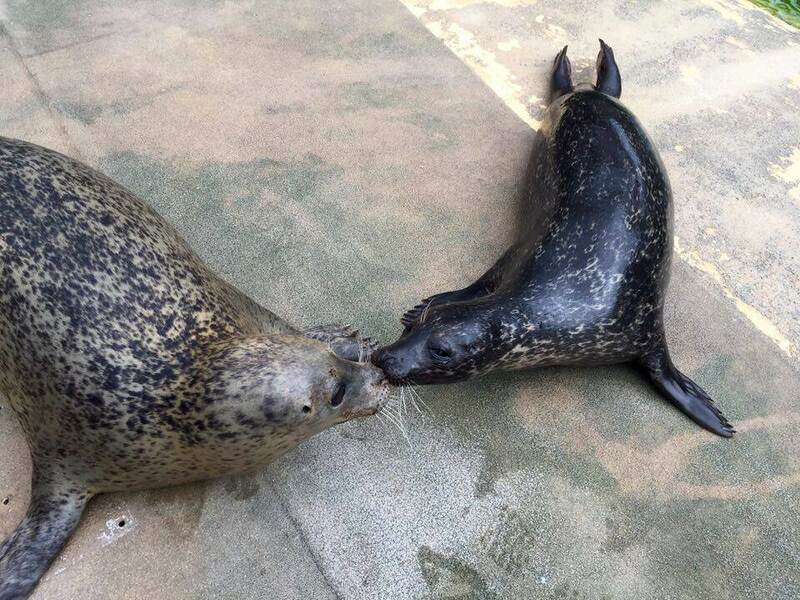 Our specialist trainers look after our seals every day, making sure they’re getting lots of exercise by teaching them new tricks, feeding them loads of tasty fish, and checking they’re generally happy and healthy. Their indoor and outdoor enclosures give our resident seals Morag, Heather, Benji, and Cody plenty of room to swim about and flex their muscles – check out our video to see them having fun! Our team holds regular talks, demonstrations, and feeds with all of our animals, where you can learn everything about the wonderful creatures in our care, why they’re so important to our planet, and what they’re like in person.